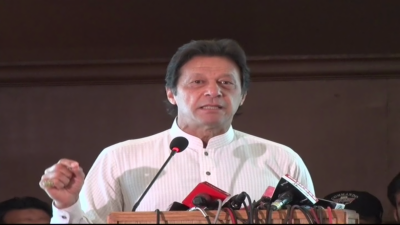 Islamabad (Staff Report/Agencies): Imran Khan on Sunday unveiled its 100-day development and reform agenda to be completed within the first 100 days of government — if The Pakistan Tehreek-e-Insaf (PTI) comes into power. While addressing a ceremony, the PTI chief said that the first 100 days of the PTI government will be reflective of the party’s ideology and policies. The agenda includes transformation in governance, revitalisation of economic growth and ensuring the country’s national security. He said that for the first time, the PTI has prepared for elections in such a manner, adding that in the last elections the party was busy conducting intra-party polls.